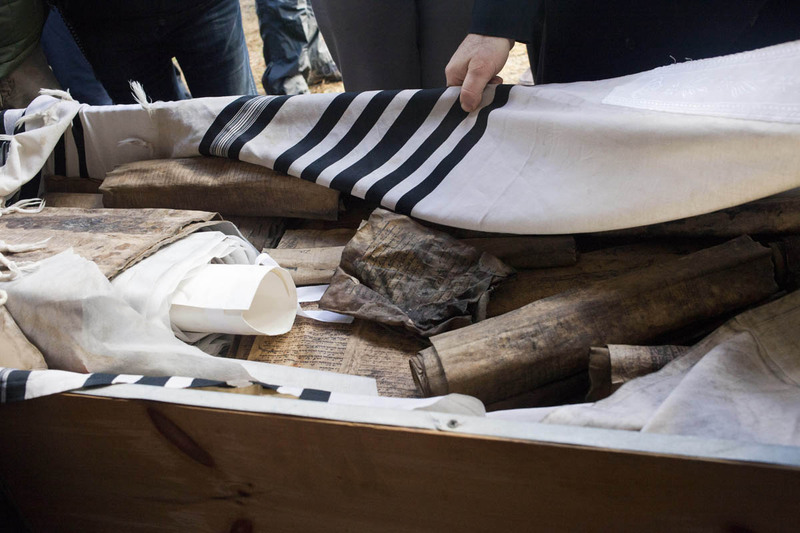 Among the materials floating in water under the Al Mukhabarat building in Baghdad were 50 damaged fragments of Torah and Book of Esther scrolls. 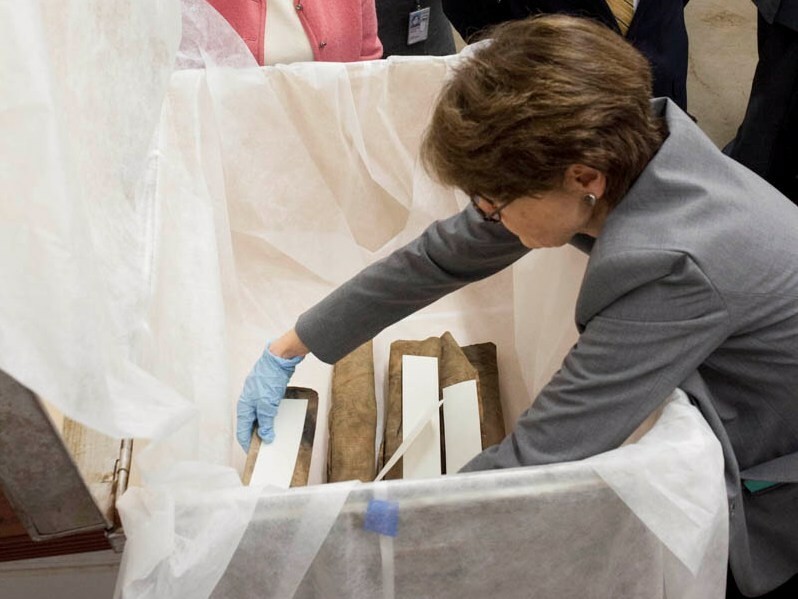 These fragments were reviewed by rabbinical authorities on request of the World Organization of Jews (WOJI) from Iraq, and the rabbis determined that the fragments were damaged beyond repair and should be buried according to Jewish tradition. 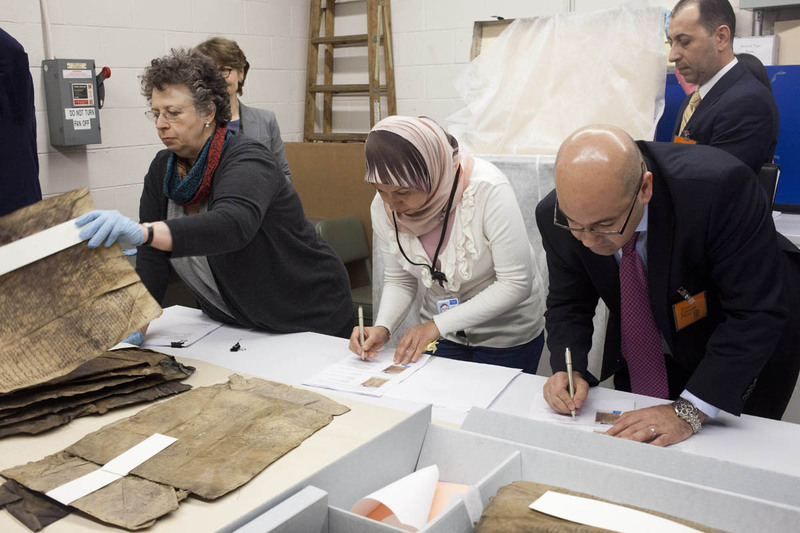 Following a joint process in which 49 of the fragments (the 50th is being exhibited) were formally reviewed and checked by the Iraqi ambassador, Lukman Faily, a representative of the Iraqi Minister of Culture, and Doris Hamburg, director of Preservation Programs at the National Archives and Records Administration, the fragments were placed in a sealed trunk for their trip to the New Montefiore Cemetery in West Babylon, New York, where they were buried on December 15, 2013. 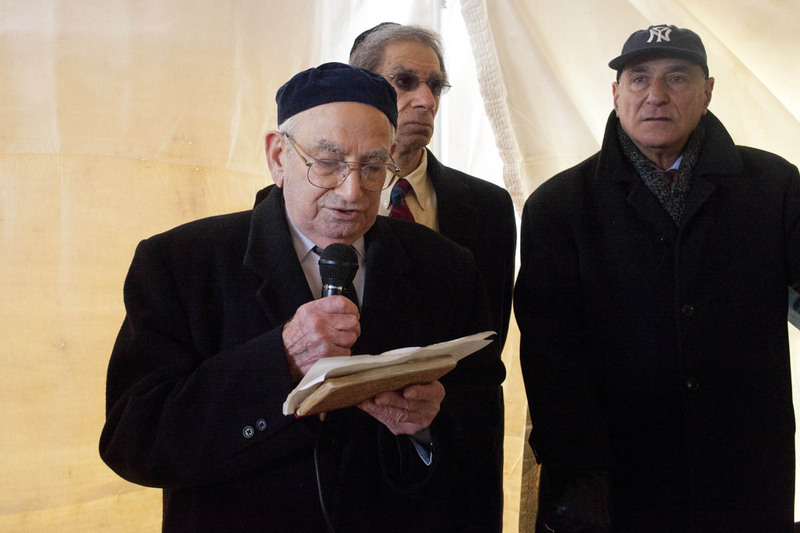 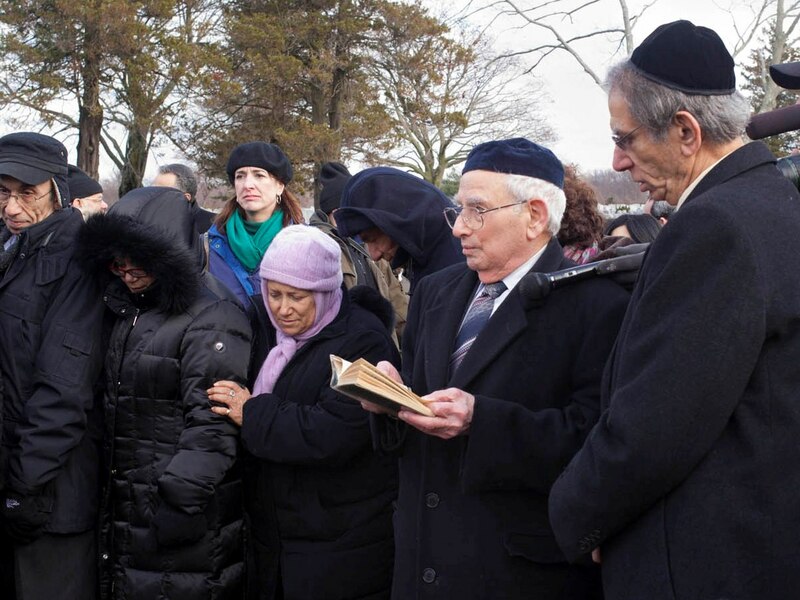 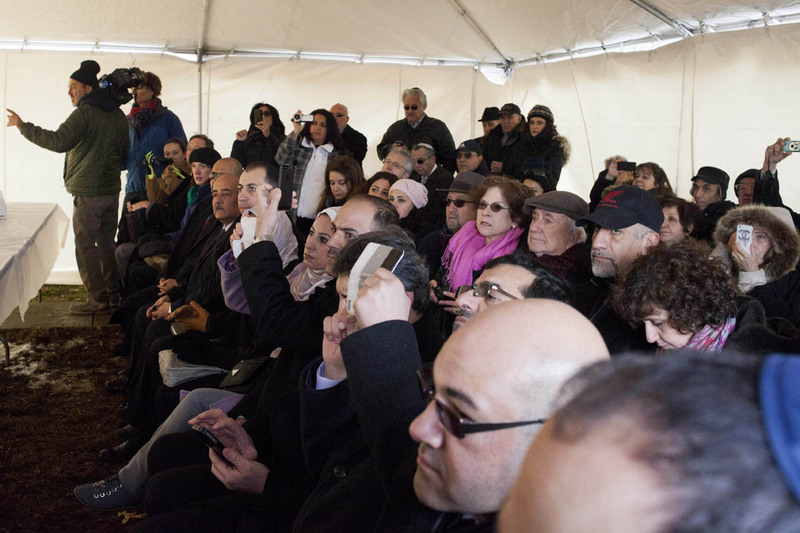 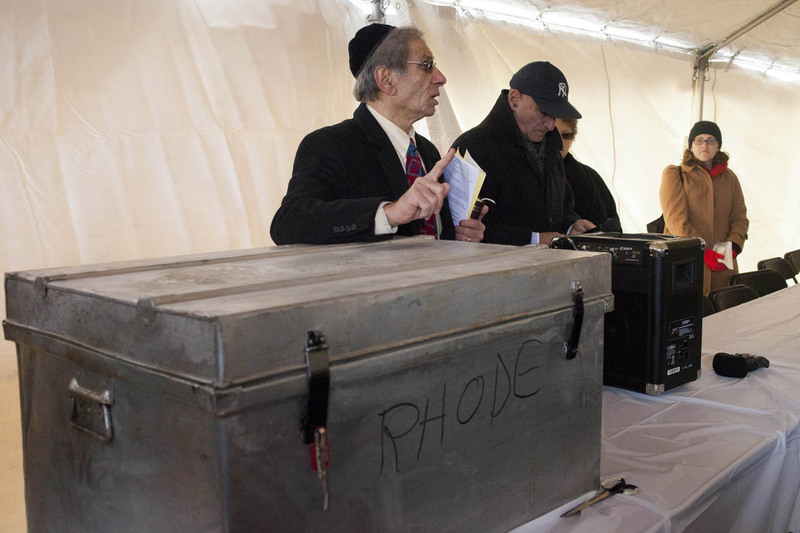 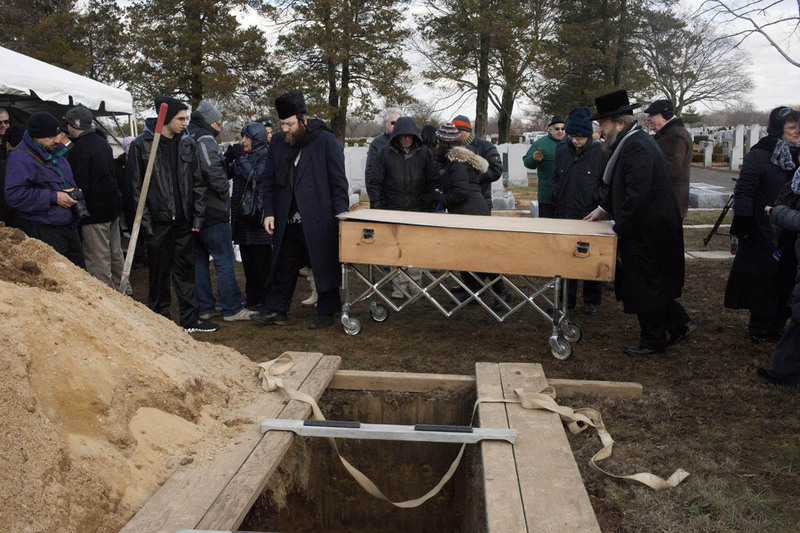 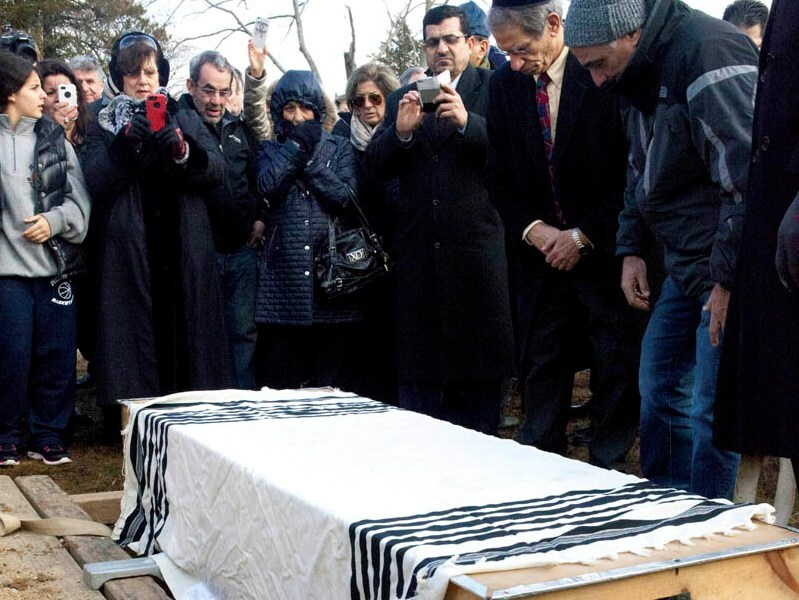 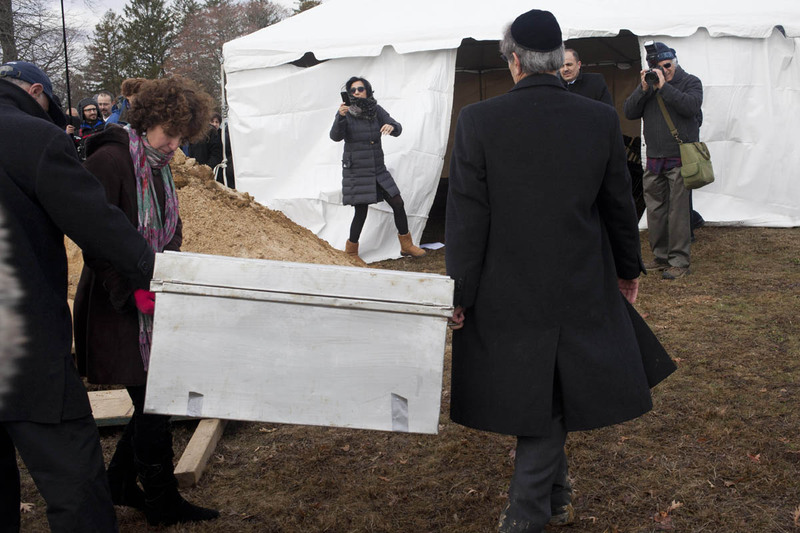 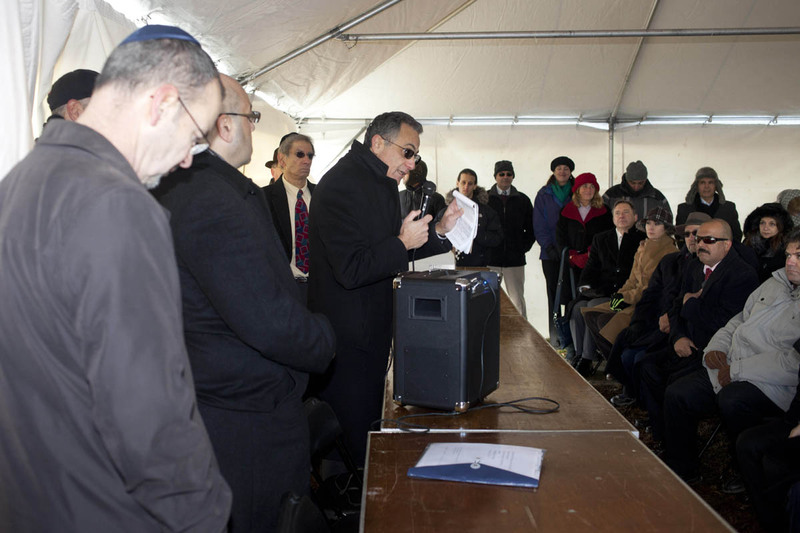 At meaningful and emotional ceremony, led by Maurice Shohet, president of WOJI, representatives from all groups with a stake in the Iraqi Jewish Archive gathered together near the gravesite newly dug for the fragments. 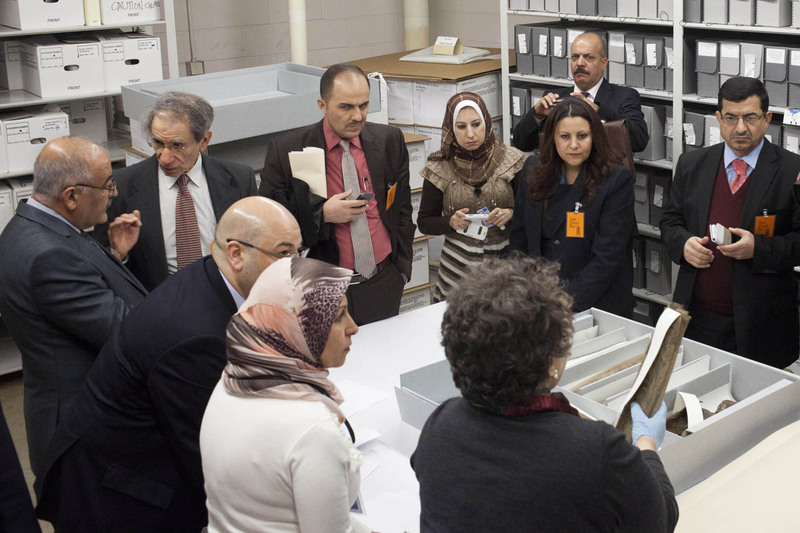 Also present were the Iraqi ambassador, as well as representatives from the Iraq embassy and Iraqi United Nations Mission, the U.S. Department of State, the National Endowment for the Humanities, and the U.S. National Archives and Records Administration.